Earlier this week I arrived back in Missouri after a blissful week in Maine. From ME to MO. What a difference a letter makes. I wrote a lot, read a lot, climbed a few mountains, and ate an awful lot of delicious fresh seafood. My cottage was on a secluded cove near Acadia National Park. It was a one-room wooden building, with no telephone, no internet, and about thirteen paces from the pebbled beach where I spent a lot of time watching birds swoop down low over the still water, hunting for fish, and then glide upwards in graceful parabolas over the skyline of dark green pines that stretched into the distance. For reasons I am not yet ready to divulge, my new book had to be set in either Maine or Rhode Island. I vacillated between the two for some time, but finally chose Maine after we spent a few days there last summer. It wasn’t an easy decision – when people think of Maine, many have a certain image already in their heads. That’s not so much the case when it comes to Rhode Island, unless you’re a Blossom Dearie fan. 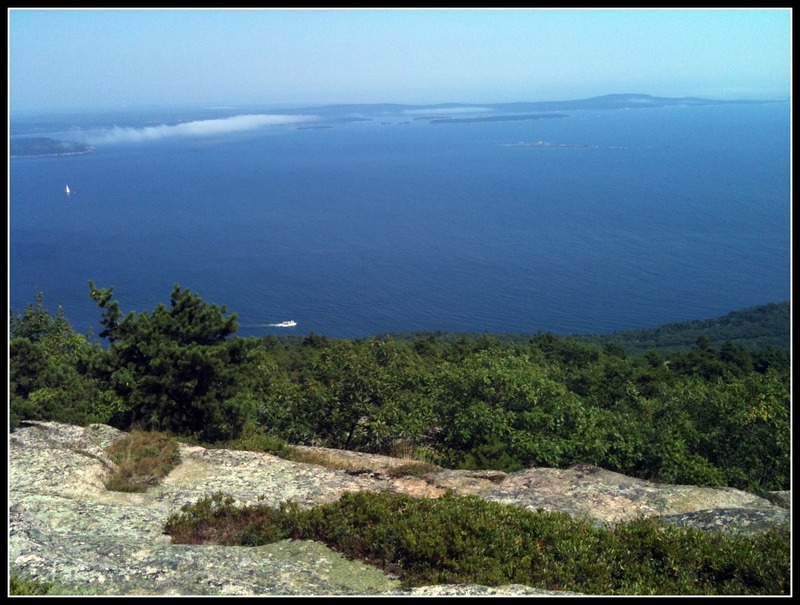 By choosing Maine, then, I have created a slightly larger obstacle for myself, as I will have to overcome readers’ preconceived notions of the place. But now I’m in no doubt that I made the right decision. I have fallen hopelessly in love. I want to move there, right now. I loved everything about the place, from its ridiculous beauty to the friendliness of the natives, to the juiciness of the blueberries. I felt completely at home – and as a displaced ex-pat Brit with homesickness issues, that tells you something. It will be a tremendous (and probably impossible) challenge to capture and convey all that I found so enchanting, but that’s all part of the fun. And I know that my honeyed view as a summer visitor would look very different in mid-February. Maine winters are long and hard. I need to find that out for myself, too. But if you are going to try and really get to know a place – well enough to write about it in a novel – it helps if you adore it to begin with. So, I hope this is a love affair that is only just beginning. One thing is clear. Many, many more trips back will be needed if I am to do Maine justice. It’s a tough job, I know, but someone has to do it. The photo below is the view from the back porch of my cabin. I know, right? I’m a refugee from Michigan now living in northern New England. Take up skiing, and the winters aren’t so long. I’m thinking a week isn’t enough for trip like that but you have to take what you can get and enjoy it. You have made it sound ideal but I think I would find it too remote, too peaceful for more than a couple of weeks.I am intrigued you only had a choice of Maine or Rhode Island, what rules out Vermont or New Hampshire I wonder. I will have to buy the book, won’t I. That’s a year to wait! More than a year to wait, Terry – this is the book I’ve just begun writing! The book I’ve just finished, A GOOD AMERICAN, is out in the UK next August. I should probably write a blog about the extraordinary length of time it takes to usher a book through from finalizing a manuscript to getting the finished product in the shops. It does take an eye-wateringly long time. Let’s just hope it’s worth the wait! And no, in many ways a week wasn’t nearly enough. 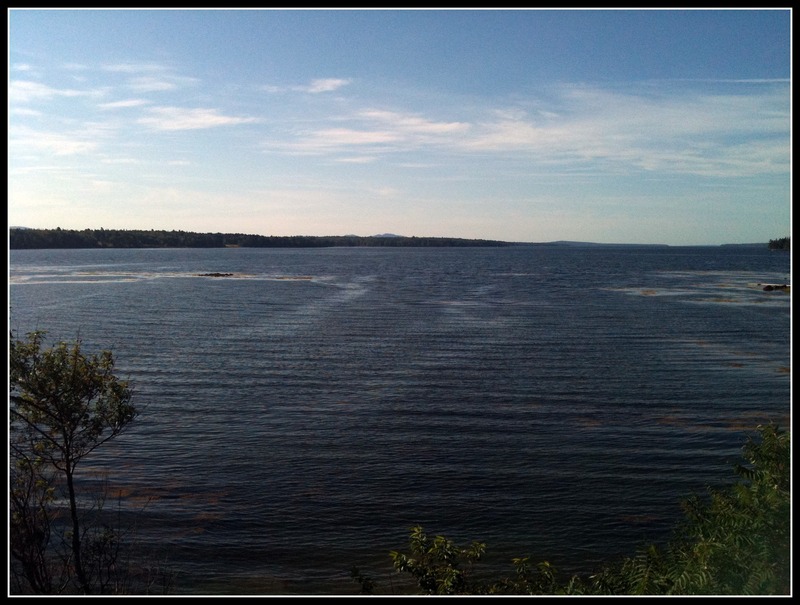 I moved to Maine 14 years ago — and it’s been very good to me in providing writing material. I was surprised when I started blogging six months ago how many of my posts end up being about Maine. That said, I have felt challenged living here at times, probably for some of the reasons you allude to. And that cottage? I don’t live there but I’d love to — it sounds ideal. I look forward to your book! (p.s. winters are hard but I’m guessing not so much worse than what you’re used to…. the difficulty with Maine winters is how long they last and the ice that forms if you don’t stay after the snow!) Glad you had such a lovely and productive trip! I agree that visiting the setting of your book is important, and it helps if your setting is as beautiful as Maine. Your love of place and connection to it will come through in your novel, which will make it even better. I’m glad you had a productive week and wish you many happy returns. One word: jealous! I’ve been wanting to visit Maine for quite some time now (esp. now that I know Julia – above). And after your description, I definitely must go. Those kinds of research trips are simply the best, aren’t they? I found that even a tiny research trip about two hours from my childhood home – to a museum I didn’t know existed when I lived there – energized me something fierce. There’s something about getting out and seeing/doing/researching that is so rewarding. So happy you returned rejuvenated and ready to tackle a new novel. Thanks for all the comments, everyone! Yes, Melissa – rejuvenated and ready to get back into the text, but also wishing I were doing it in Maine and not Missouri! Still absence makes the heart grow fonder, and all that. The one problem with Maine is that it’s so beautiful the very last thing I wanted to be doing was sitting inside working. So perhaps it’s no bad thing I’m back home. No such temptations here!!! Oooh! this is so exciting! My God Daughter lives in Maine so I have been going there regularly. Recently, I got Norm hooked on it. We went there alone last year and this year, we took the kids. Both times we camped at Blackwoods. It is such a wonderful place!!! Now you have me interested in your second book!